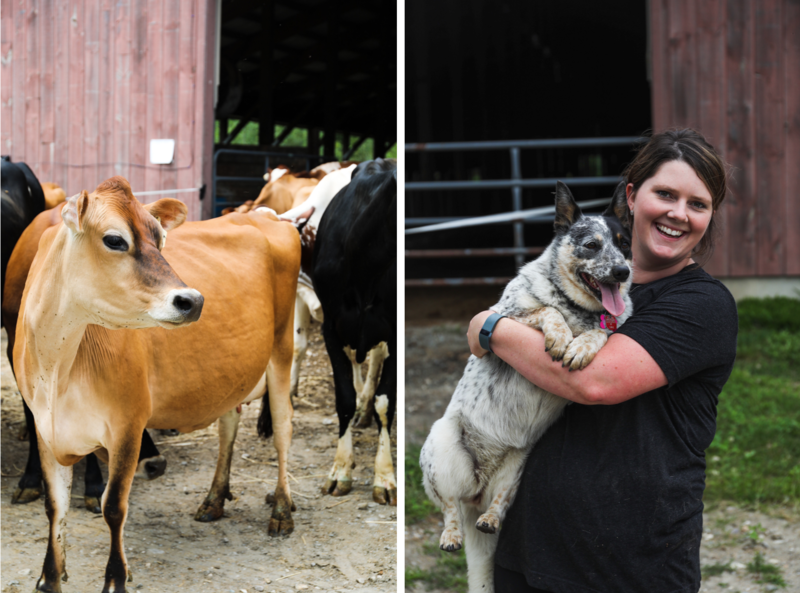 While relatively new, Vermont Farmstead Cheese Company has undoubtedly grown to be a mainstay within our community. Not only have their cheeses won more than 50 awards in international and national competitions, Vermont Farmstead has also earned space in hundreds of stores and restaurants nationwide. As such, you may be familiar with the sunrise sunflower signage that distinguishes Vermont Farmstead Cheese. The company attributes their superior quality and taste to this expansive recognition, and we agree! What we find most interesting about Vermont Farmstead and their story is how they got their start. You see, they began as a community effort to save a local dairy farm in South Woodstock VT. 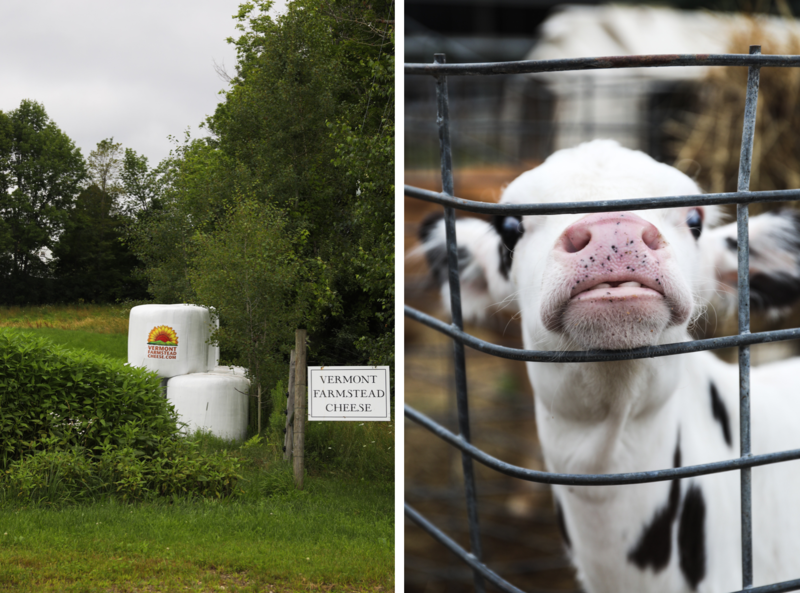 When five-year-old Star Hill Dairy decided to relocate from its picturesque 18-acre farm in 2009, locals became concerned about their dairy industry jobs and the future use of the land. “There was a real sense of loss when the rumors began to fly about breaking up the farm and having the land go out of agricultural use,” says Vermont Farmsteader Sharon. Talk of other uses for the land began to circulate, some of which would compromise the bucolic landscape. After seeing this farm firsthand, we can see why the community felt so passionate about this place. The land epitomizes the beauty of Vermont pastureland. Atop a hill, along a winding dirt road, Vermont Farmstead sits amongst lush, rolling hills. Quite heroically, the community refused to sit idle. Passionate residents raised funds to purchase the land, as well as to build and obtain equipment for future dairy farming. This concerted effort brought Vermont Farmstead to town – the first community-owned artisan cheese and dairy facility in the state! 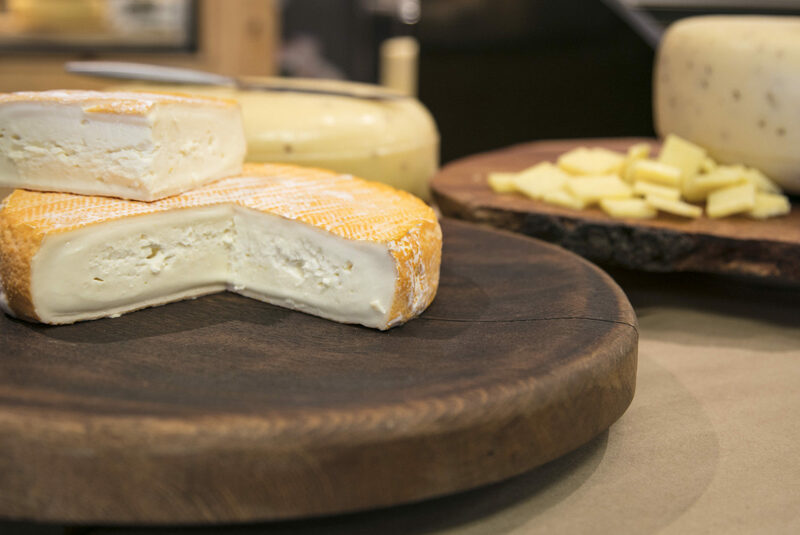 This business revival drew a crowd of seasoned farmers, cheesemakers, and industry executives from the consumer product and specialty food market. A mixed herd of cow breeds, including Holstein, Jersey, Ayrshire, and Brown Swiss (who have a beautiful grey-brown color), also came along. By June 2011, Vermont Farmstead produced its first cheese. Five months and many practice runs later, their cheese was introduced to the public market. Then, in 2013, Vermont Farmstead acquired Castleton Crackers! 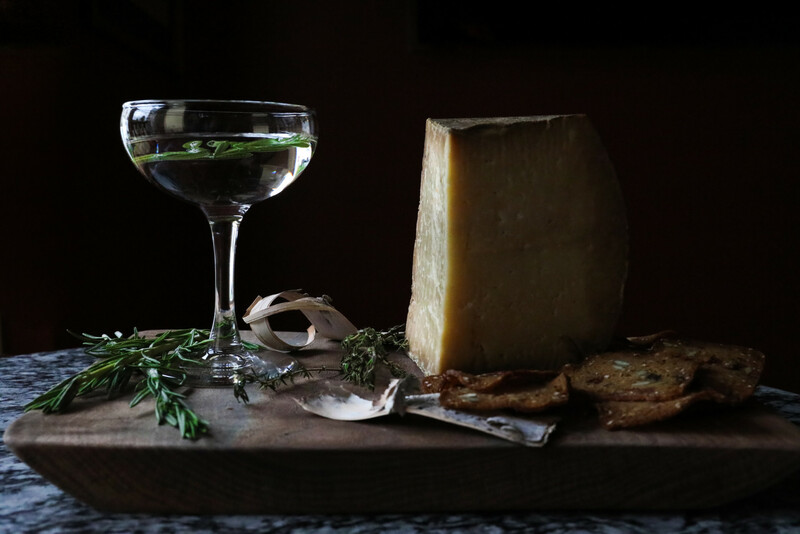 Talk about a perfect companion to a cheese company. These artisanal crackers are made with all-natural ingredients, using fresh milk and butter from the farm. Together, these products make Vermont Farmstead the first artisanal cheese and cracker company in Vermont! Vermont Farmstead attributes their success to the marriage of old world recipes and Vermont quality. Head Cheesemaker Rick Woods leads the old world initiative. 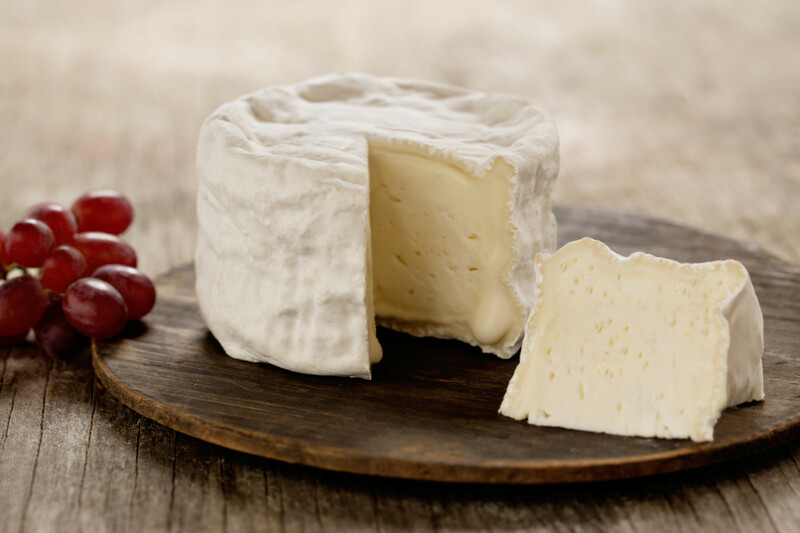 “He looked to the classics as a starting point when crafting our cheeses,” notes Sharon. 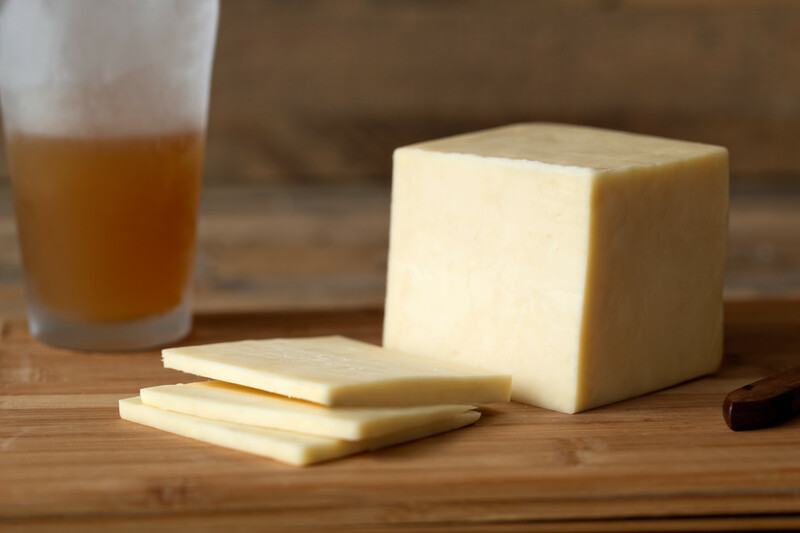 “He came to us with 18 years of cheese making experience and had many connections that brought old world recipes to him, specifically an 1800s Wensleydale recipe that he adapted.” In addition, Vermont Farmstead’s twelve cheese varietals are all handcrafted with 100% Vermont whole milk. The milk is sourced from the farm’s own cows, as well as from those of other local Vermont farms. 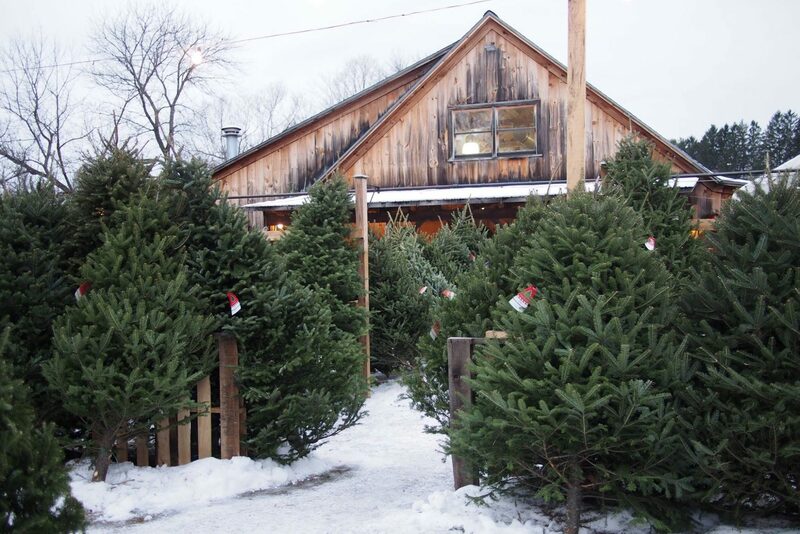 As the company continues, Vermont Farmstead is always looking for ways to be more sustainable. They’ve already incorporated a feeding program which utilizes drain-off whey from the cheesemaking process into feed for both their cows and other local pig farms. Vermont Farmstead is also looking into sustainable power. “Ideally in time, we want to put in a digester and generate energy from our manure.” Now this would be incredible! To power the cheesemaking process with the product of their already hardworking herd would be an undoubtedly gratifying feat. 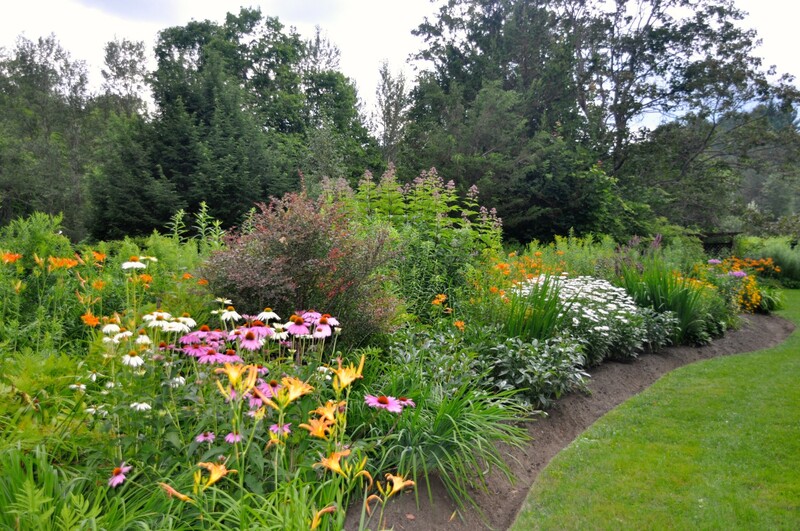 Keep your eyes on news and media posts – exciting things are happening at Vermont Farmstead! The cheese company recently launched their new washed rind cheese, Angeline (see the photo at the beginning of our post). An early soft-ripened cheese Lille (below) quickly became a favorite due to its creamy texture and blend of flavors, so this new product is likely to do the same! Described as pungent on the outside, yet buttery and brilliant on the inside – oh my! It sounds like our kind of cheese for the Jackson House Inn (breakfasts and beyond)! Bring on the “stink”, bring on the soft velvety texture! Vermont Farmstead also continues to make their delicious Windsordales packed with fruit and their custom Alehouse Cheddars with craft beers from Vermont. One of our their most popular is Cheddy Topper, which they make exclusively for The Alchemist. You should also mark your calendar for the ultra fun Mac & Cheese Challenge hosted by Vermont Farmstead September 10th, from 11AM – 3PM. Held at Artisans Park in Windsor VT, about 20 local chefs and restaurants compete to be named Best Mac & Cheese. Let it be known – The Jackson House Inn competed and won third place a couple years ago! The event draws about 3,000 people with Harpoon beer, live music, a calf petting zoo, King Arthur Flour’s cookie truck, lawn games, and (of course) mac & cheese! Bring the kiddos and make it a family event, if you’d like. $17 in advance and $20 at the door. You can purchase a ticket or read more about the event here. Ultimately, Vermont Farmstead Cheese Company is all about the reaction they get when people taste and enjoy their cheese. “It’s satisfying to know that we’re all a part of the process to make a product that is natural, tastes amazing and that people want to continue to buy.” From our perspective, their farm is also incredibly inspiring. 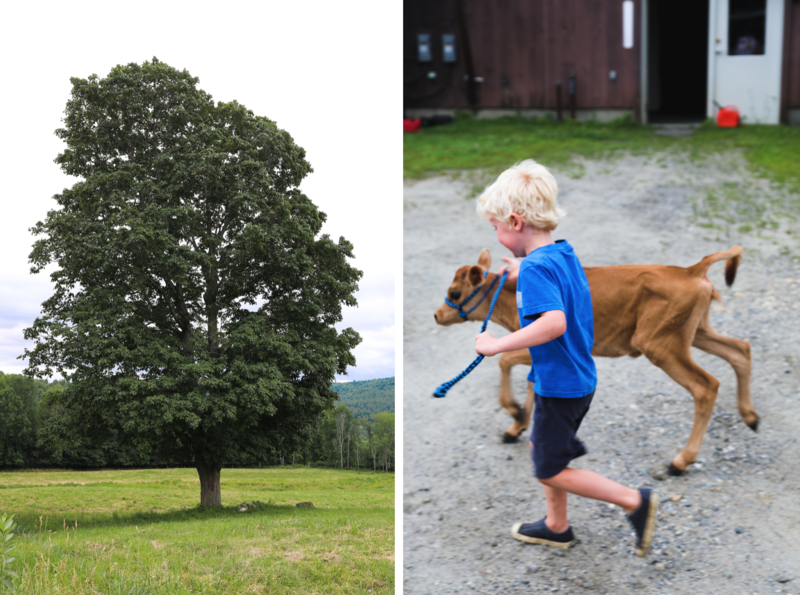 We were simply amazed at the process by which Vermont Farmstead abides…and with simple ingredients – milk, salt, enzymes and cultures (and sometimes beer!). 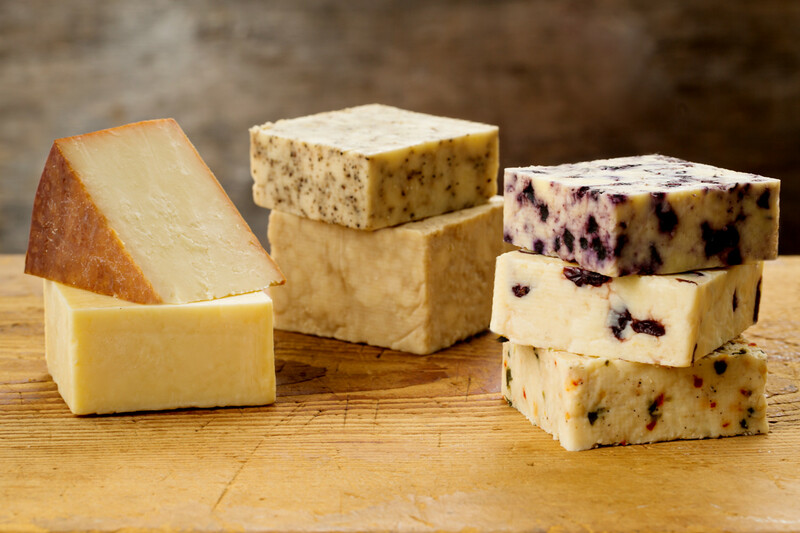 If you’d like to pick up a Vermont Farmstead cheese for yourself, you can find a variety in Hannaford, Shaws, Big Y, Mac’s Markets, and our local Coops. We love that it is available at our nearby Woodstock Farmers Market too! Of course, you can also visit their flagship store, The Vermont Farmstead Cheese Company Market in Windsor VT. There, they offer daily free samples of their cheese and Castleton Crackers! Finally, be on the lookout for Vermont Farmstead’s new van tooling around town and throughout the area. You’ll be able to spot their bright and shiny logo on it!